When you start using the scientific method to solve problems, the first thing to do is formulate the right question. And not every question is the right one. 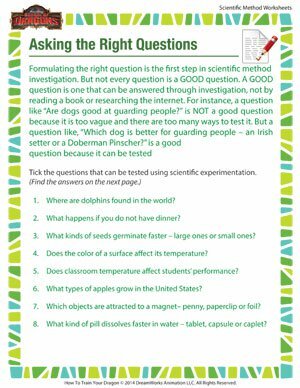 Use this printable scientific method worksheet to learn more about this. For more scientific method printables, do visit the School of Dragons, the specialists in science education for kids.